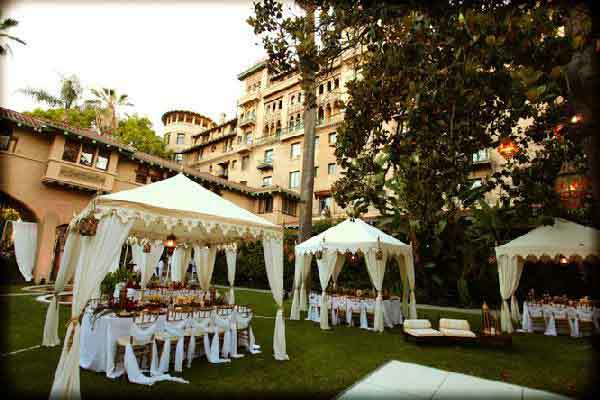 I have been a wedding minister in Los Angeles for many years and I have performed many civil wedding ceremonies and religious wedding ceremonies in many Pasadena Wedding Locations. Some have been at Castle Green. The Castle Green is an imposing seven-story historic Moorish Colonial and Spanish style building sitting next to Central Park in Old Pasadena at Raymond and Green Street. There is a ballroom that will accommodate up to 425 wedding guests. Brides have found the sweeping marble stairway in the lobby a splendid setting for a grand entrance (and tossing the bridal bouquet!). 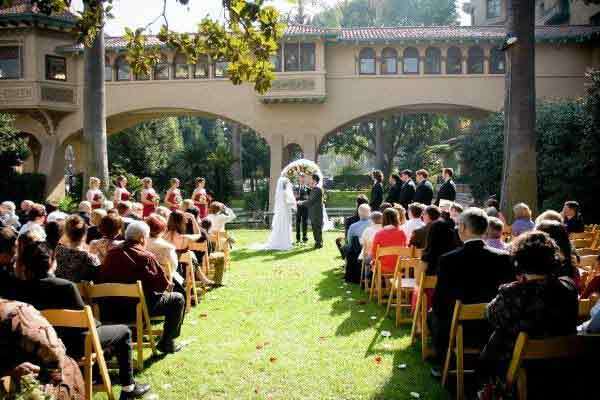 If you are thinking of having your wedding ceremony or reception at Castle Green or anywhere in Los Angeles County or Orange County California then consider having the Officiant Guy be your wedding officiant.